Microsoft Spartan browser tipped for Windows 10. Internet Explorer is hardly the most loved of browsers, and Microsoft is reportedly planning a drastic fix with a new browser code named Spartan tipped to launch alongside Windows 10. 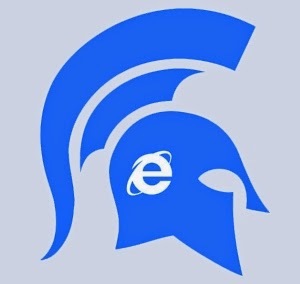 Intended to be more lightweight and flexible – borrowing a look and feel more akin to Google’s Chrome or Mozilla’s Firefox – than previous Microsoft web browsers, Spartan would stick with Microsoft’s existing engine technologies under the hood, but wrap them up in such a way that the company’s engineers hope users forget whatever bad experiences they may have had with legacy software such as IE6. Windows 10 (at least the desktop version) will ship with both Spartan and IE 11. IE 11 will be there for backward-compatibility’s sake. Spartan will be available for both desktop and mobile (phone/tablet) versions of Windows 10, sources say. According to ZDNet's Mary Jo Foley, Windows 10 will ship with both Internet Explorer 11 and Spartan, though the former is expected to stick around for backwards compatibility only. The new browser will be available for both desktop and mobile devices running Windows 10. So far it’s unclear whether Spartan will be portable on non-Windows systems, such as Android, iOS, or OS X, but if it is actually imitating Chrome and Firefox, two of the most popular browsers out there, the idea isn't too crazy. The new browser is currently under development. What Microsoft will call the new browser is also a mystery at this point, as 'Spartan' is just a codename for the project, and there's no revelations on what it might be called by the company. Microsoft hasn’t provided any details about it but the company is hosting a press event on Jan. 21 in the company's hometown of Redmond, Washington, where it is expected to provide more details about the consumer version of Windows 10, so perhaps we will know some more about Spartan then.